Another week of May is upon us already! This week has been full of wonderful adventures. I headed to Cummins Falls this Sunday afternoon and spent time hiking and swimming with some wonderful company. 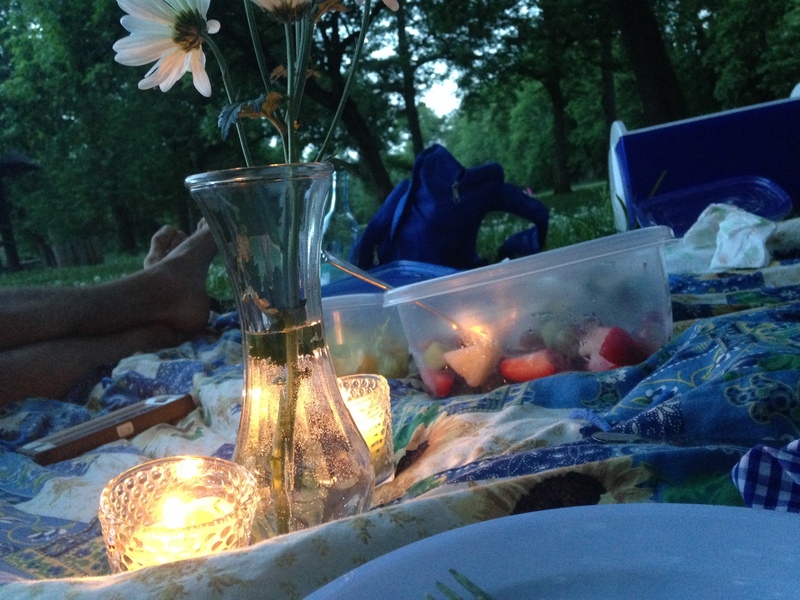 I also enjoyed a perfectly planned picnic (say that three times fast) at Percy Warner, and it’s safe to say that I’m REALLY excited that it’s summer. This week’s restaurant adventures brought me to Taco Mamacita. While it’s not a Nashville native, this restaurant boasts delicious Tex-Mex in a laid back environment and is a favorite among Belmont students. I’d never been so I headed over with my friend Eric to try it for myself! Located in the up-and-coming Edgehill area, Taco Mamacita boasts a busy-yet-playful environment. 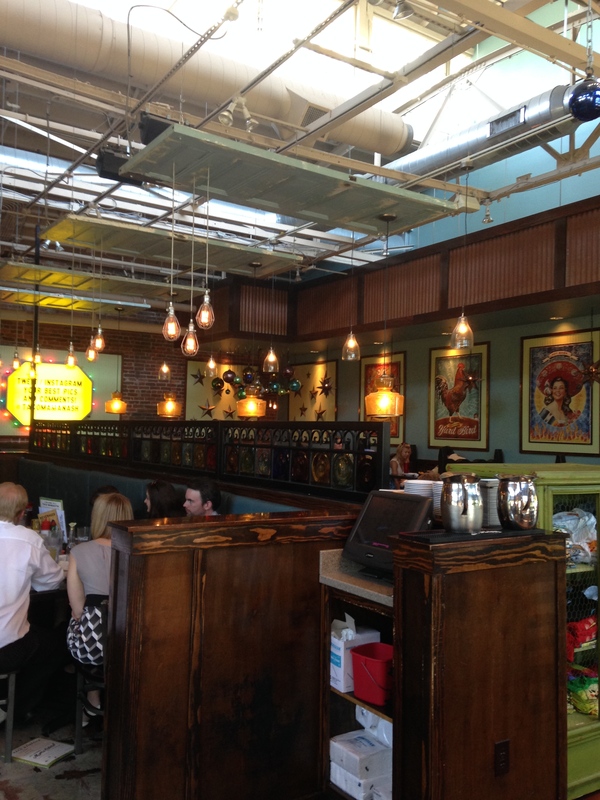 The decor is incredibly colorful and reminiscent of your favorite hometown Mexican restaurant. It was a beautiful day out so we opted for the outdoor seating, a large patio with ample space to sit back and stay awhile. The menu was a little surprising, to be honest! I had come in expecting traditional Mexican fare, but their menu boast a variety of flavors—Korean, Western, and more. 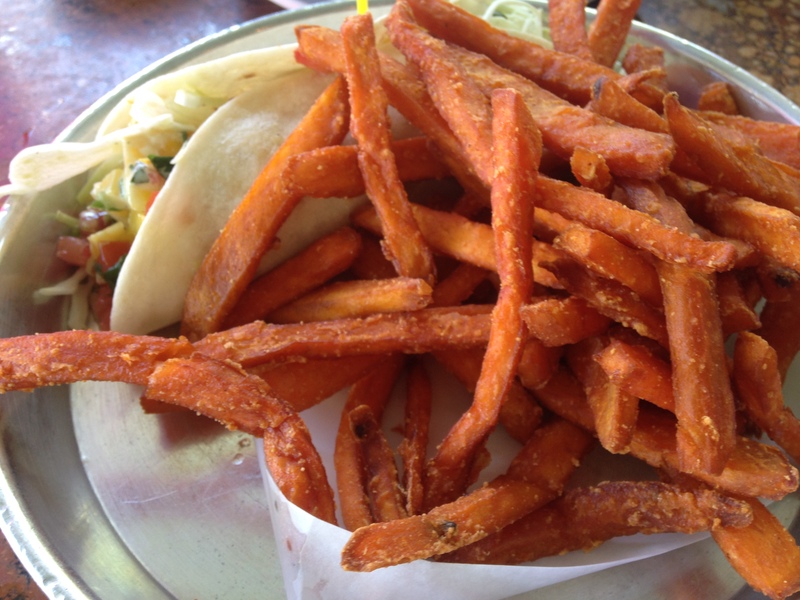 I opted for the Caribbean Jerk taco with some sweet potato fries (which are probably my best indicator of whether or not a restaurant is doing things right). The fries were incredible (yay! they passed!) and the taco had a lot of wonderful flavors. Wrapped up in a flour tortilla was spicy jerk chicken, crunchy shredded cabbage, a sweet mango salsa, refried black beans and peach aoli. The fruit definitely helped to balance out the spice of the chicken, and also made it incredibly juicy (and a little messy, of course!). 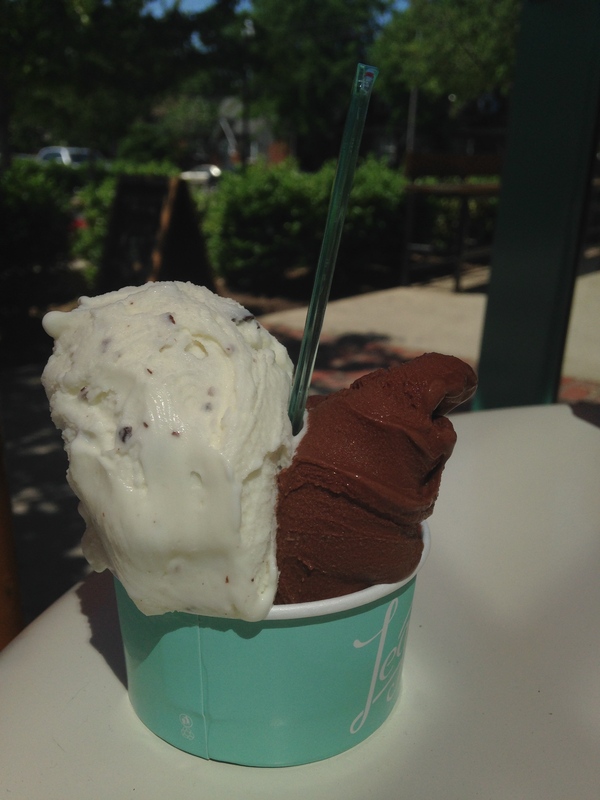 To finish, we snuck over to Legato Gelato and had some incredible fresh and delicious gelato under the cutest little patio table. Needless to say I left incredibly satisfied. 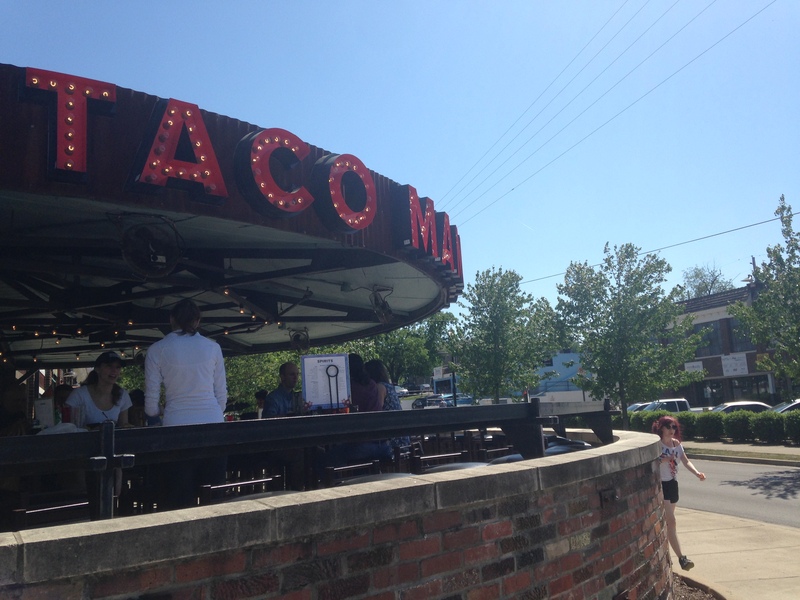 Out of all the incredible Mexican dining establishments in Nashville, Taco Mamacita is a solid competitor. Their unique menu boasting many different flavors will definitely have me back to try something new. If you’re in the area and looking to do your Mexican a little different, this is definitely the place for you.